I wrote this sometime back, but today I added these lines because I came to know that Orkut is being closed down now on 30th September. Orkut truly taught the young generation of India the actual meaning of social networking. It gave me a lot of friends, a lot of knowledge, and a lot of unforgettable experiences as well. Orkut WAS social networking site sometime ago. Yes it was. It is no more. And it was the only one. I'm sure we all still remember Orkut because that was the first social networking website for the people of my generation. That was where we met a lot of old and new friends. That was where we wrote scraps to each other. Do you remember SCRAPS ?? Yeah, yeah, scraps which we wrote on each other's pages. Some people even wrote testimonials for others. TESTIMONIALS? Anyone? Yes. They were about the person to describe him that he/she is my best friend/brother/sister/lover and how cool/amazing/charming/loving he/she is. Then the person had to accept the testimonial which then appeared on the bottom of his/her page. Then there was a truly devilish option (in my views), to be able to see who visited your profile, and whose profile you visited: recent visitors. I mean, why in the world? When I see somebody's pictures, I should be able to do it anonymously. If you don't want me to see your pictures, simply hide them away. But I don't want you to know that I saw them. The Orkut login page. Ah! Old memories. There were the days where we logged in to our accounts everyday to check out scraps, testimonials and chats. Then came themes in Orkut. Themes like beach, greens and sunsets or snow, as far as I remember. Some of us changed our themes (backgrounds for profiles), but soon it was no more interesting. Long gone are those days when one single scrap count would bring a glitter in our eyes.. and we must admit, scrap count was the criteria of popularity !! I heard that Orkut updated its feature that the users would not be able to see the comments they made on the scraps, instead it would appear on the conversation page, which would be private to the user... It was, well, about, more than an year ago.. I truly wonder if anyone used this feature before we switched off our accounts from Orkut and switched in Facebook. A world of friends, family and relatives where we have our little, virtual world. 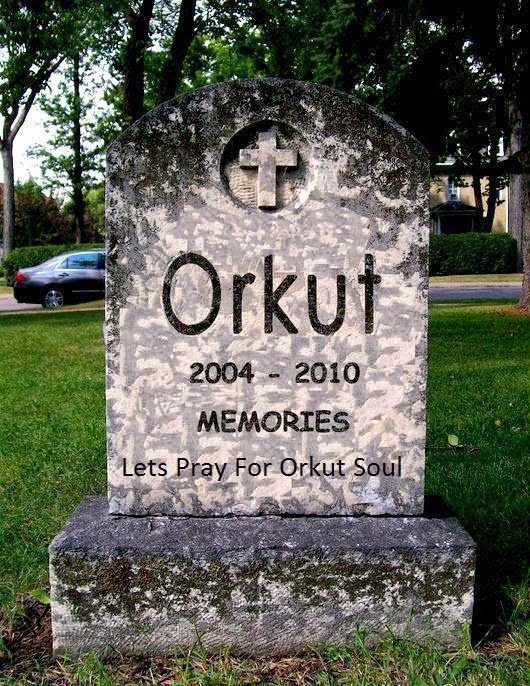 Personally I have no idea what Orkut interface looks like today, because I deleted my profile from there, well, and eternity ago. I'm no pro to the world of networkings and greater knowledge of the workings, but still I would never forget the first one which taught me the meaning of social networking. I shall always remember those last profile visits, those testimonial, hot lists and crush lists. With Orkut, I got back a lot of my old, school friends. 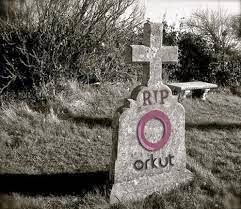 It was a blessing to have in the good old days and it surely has left a mark in our lives.. Orkut was our friend, and it will always be. Let us pray for it together. R.I.P. Orkut. All I want to say that others such as Facebook, Twitter, LinkedIn are just websites, but Orkut, you are an EMOTION. Even if you go down, you will still be in my memory. My second baby turns two ! !